The meetup was scheduled to start around 14:30 IST but with people pouring in a bit late, we started the event at 15:00 IST. The turnout was good and much more than what we had expected with a total of 18 people turning out. 4 Fedora Ambasaador were present at the meetup, Praveen, Siddesh, Kushal and /me. The meetup started off with a round of introduction. 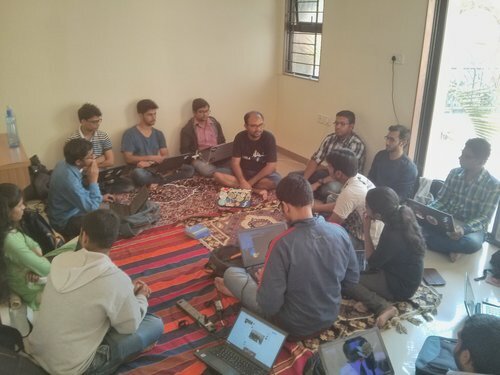 As couple of them where first-timers, Kushal and Siddesh started talking on how to start contributing to FOSS from a programmer’s perspective. Praveen later took and hands-on workshop of Ansible. 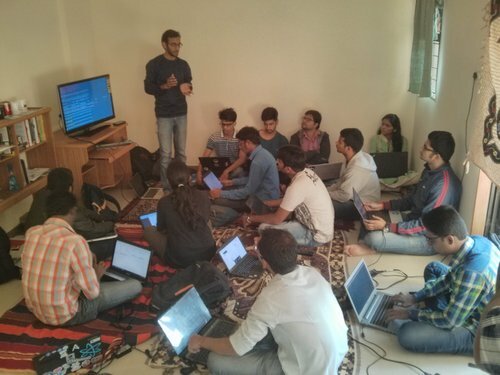 He showed them step-by-step process of writing Inventory, Playbooks etc and completed with an installation of Apache. 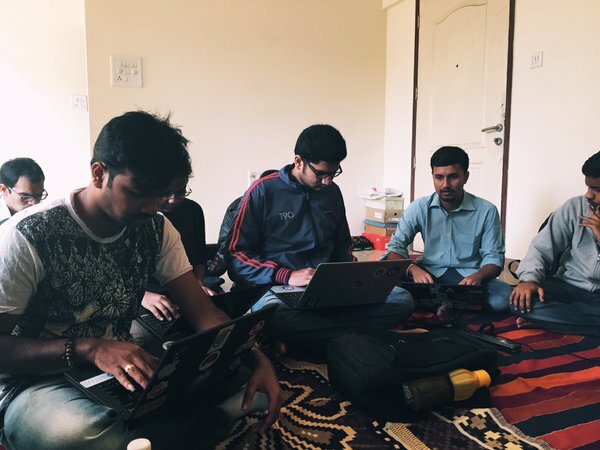 After the hands-on, the participants tried their hands on Ansible by writing a script to copy a file from one place to another. At the end, we discussed regarding the future meetups, what all topics we could discuss on etc. Our next meetup would be on 22nd January, 2016 from 1700 IST. We were request to talk on RPM Packaging, a session on C Programming by Siddesh and Python 2 to 3 migration.